This is the Signed original Watercolour painting by Wilf Hardy. 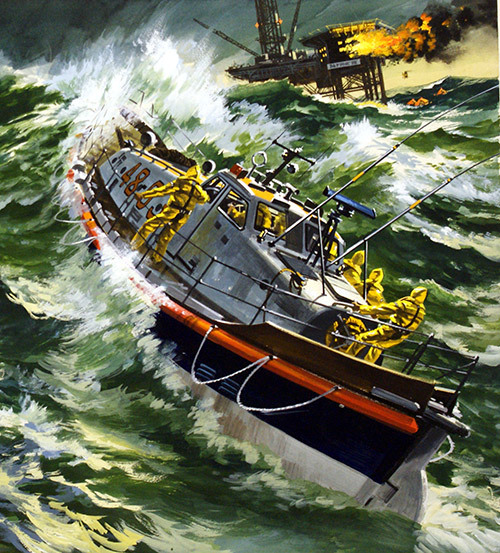 In 1973 the RNLI's newest lifeboat was the "Arun", based in Guernsey. Only hours after first going into service she saved the lives of four French sailors. 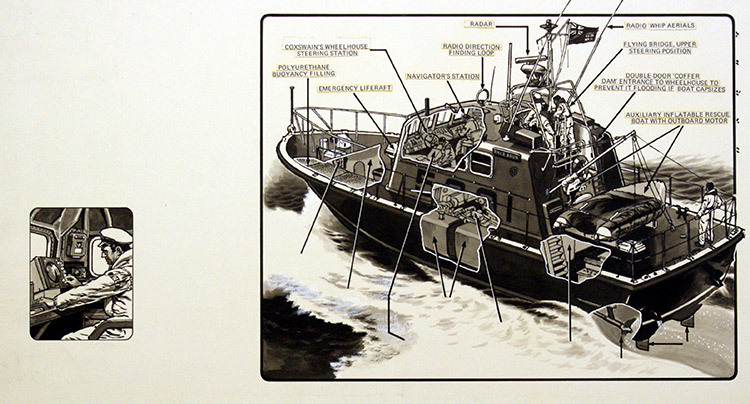 This cut-away art by Wilf Hardy shows important sections of the boat. Note the text is on an overlay. Original art that was published in Look and Learn #599 7 July 1973.